(VEN) - Hanoi has implemented a pilot project on enhancing management of fruit stores in the downtown districts of the capital city in order to protect consumer interests and prevent the use of banned chemicals, stimulants and plant protection products. 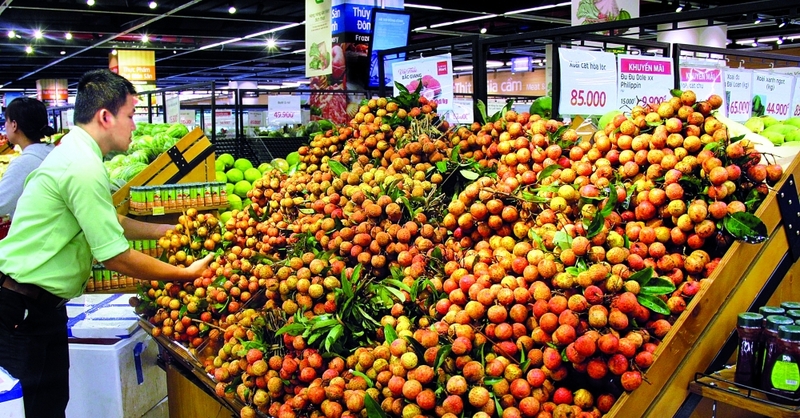 Tran Thi Phuong Lan, deputy director of the Hanoi Department of Industry and Trade, said local consumers need about 52,000 tonnes of fruits per month. However, the capital city only meets 30 percent of demands. The rest are imported from domestic provinces and cities and foreign countries. The project sets up key targets. Accordingly, by the end of 2018, all stores must register their businesses and ensure they have adequate facilities for the safe preservation of fruits. Hanoi has granted project signboards for 712 stores. The Hanoi Department of Industry and Trade has also issued project signboards for 23 Fivimart supermarkets. According to Tran Thi Phuong Lan, the project has yielded positive results. Consumers have reliable addresses to buy fresh fruits for their daily needs, while stores have a higher awareness of the law, and their revenues have increased by 20-50 percent. The Hanoi Department of Industry and Trade has implemented various measures to help the project achieve higher efficiency. 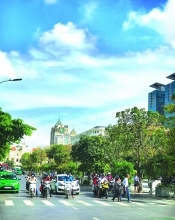 At a conference on connecting the supply and demand and trade connections between Hanoi and provinces held in 2017 by the Hanoi Department of Industry and Trade, some 480 memorandums of understanding (MoU) were signed to bring provincial products to Hanoi. They included 210 MoU on fruits such as Ha Giang green-skin grapefruit, Cao Phong orange, Tan Lac red grapefruit, Son La longan, Bac Kan seedless persimmon, and Dong Thap tangerine and mango. In June and July 2018, the Hanoi Department of Industry and Trade cooperated with Bac Giang, Hung Yen, Hai Duong and Son La provincial departments of industry and trade to strengthen promotion and enhance consumption of litchi and longan. The cooperation has provided opportunities for localities to bring their specialties to Hanoi, and for Hanoi consumers to use safe agricultural products. In addition, the Hanoi Department of Industry and Trade in collaboration with the Hanoi Department of Agriculture and Rural Development have provided fruit stores in the downtown districts of the city with a list of 110 safe fruit growing areas. The Hanoi Customs Department has also provided a list of 41 businesses specializing in fruit and vegetable imports for fruit stores. Hanoi has also cooperated with management agencies to deal with street hawking. It has worked with Thanh Xuan District to grant traceability codes to 91 fruit stores, and is continuing to deploy in other districts.